Created by pulp writer Jack Boyle, Boston Blackie was a reformed thief who always found himself accused of crimes he had nothing to do with (think of him as a blue-collar Lone Wolf). 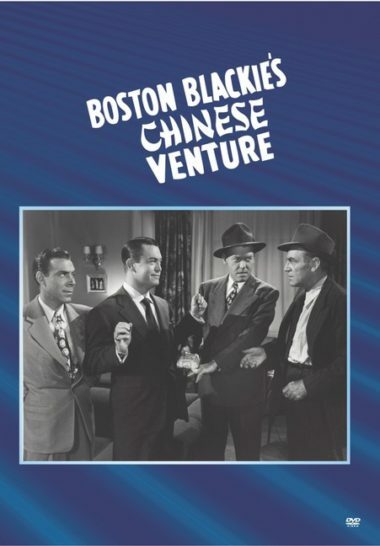 Chester Morris played him in 14 fast-moving comedy-mysteries, and in this, the last of the series, Blackie is accused of murdering a Chinese laundry owner. With perennial nemeses Insp. Farraday (Richard Lane) and Sgt. Matthews (Frank Sully) on his tail, Blackie and sidekick The Runt (Sid Tomack) are once again in a deadly race to clear themselves before their fortune cookies are permanently crumbled. Don McGuire, Joan Woodbury, Philip Ahn, Benson Fong, Victor Sen Yung and the beauteous Maylia (Fong’s wife) co-star. Don’t expect the typical Hollywood stereotypes to be trotted out for this one; there are some incredibly incisive and humorous observations about 1940s race relations wrapped into this comic adventure. Newly remastered.